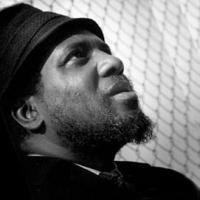 In celebration of Thelonious Monk‘s 92nd birthday, The Greene Space partners with World Piano Summit, headed by Peabody Award-winning radio producer Jim Luce. This special concert will feature several pianists from the world of jazz, including jazz luminaries Geri Allen, Zim Ngqawana and Randy Weston. Geri Allen is an artist grounded in tradition yet always poised on the cutting edge. She has given concerts internationally and her acclaim is worldwide. In the past several years, she has appeared as a composer, and performer in concert, at Zankel Hall in Carnegie Hall, Caramoor Festival in Katonah, NY, and the San Francisco Jazz Festival. South African saxophonist, flutist, pianist, vocalist, composer and band leader Zim Ngqawana is many musicians in one. He is a passionate inheritor (and extender) of the South African jazz idioms. He is also an erudite and respectful listener who has absorbed the American saxophone masters (particularly), and crafted a highly personal sound on tenor, soprano, or alto as the context requires. After contributing six decades of musical direction and genius, Randy Weston remains one of the world’s foremost pianists and composers today, a true innovator and visionary. Encompassing the vast rhythmic heritage of Africa, his global creations musically continue to inform and inspire. We will serve a light brunch at 11 a.m., with the concert beginning at 12.